The city once best known for gambling and quickie divorces is increasingly about wholesome fun, good food, and the great outdoors. A mural in MidTown Reno. On a cold night in March, Great Full Gardens restaurant in a nondescript brick building in Reno’s MidTown District is jamming. Locavores tuck into plates that are paleo-friendly at one table, vegan at the next, grass-fed at another. One of my daughters, Emily, is eating a black bean burger. The other, Sophie, is sipping an artisan kombucha. There’s not a slot machine, cigarette, exotic dancer, or daiquiri in sight. 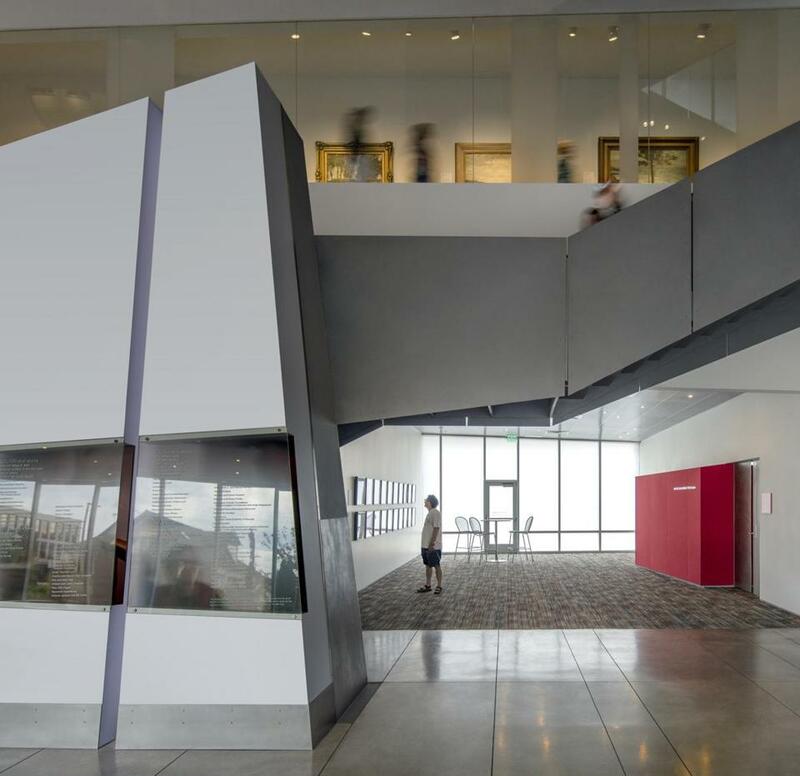 Welcome to 21st-century Reno. Tell someone you’re headed to Reno and you’re likely to hear a story involving copious amounts of alcohol and activities unfit for a family newspaper. But because Sophie has lived in the area for almost 10 years, I’ve developed a soft spot for “The Biggest Little City in the World.” Often thought of as a smaller, less glitzy — but generally more affordable — cousin to Las Vegas, Reno is in the midst of a big makeover. And it’s not just about the food. In the last few years, Reno’s city leaders and entrepreneurs have embraced its easy access to the outdoors, reasonable climate (at 4,000 feet, it’s markedly cooler than Vegas and has lots of sunshine); central location (about a four-hour drive from the San Francisco Bay Area); and the culture of Burning Man (about 30,000 “Burners” fly into the Reno-Tahoe International Airport each summer on their way to the arts gathering in Black Rock Desert). 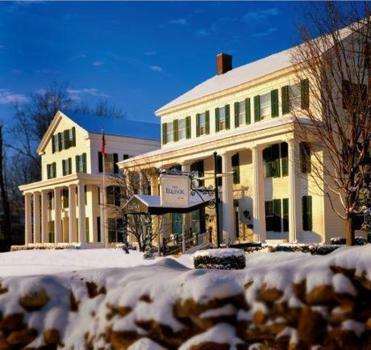 In Manchester, outlet shopping, small-town charm, and seasonal scenery all meet. Reno’s commercial economy, which long centered on the railroad, has been reinvented before, Barber says. The Nevada Legislature, anxious to goose the economy, legalized gambling and shortened the residency requirement for divorce from the already shocking six months to three months and finally, in the depths of the Great Depression, six weeks. Reno’s reputation as the divorce capital of the world was reinforced by a new wave of divorce seekers. Most of them were women, who in the mid-20th century were less likely to be constrained by jobs and could spend six weeks in the hotels, ranches, and bungalows that catered to them. Wedding chapels made it easy to get divorced and have a do-over all in the same day. But once the divorce trade was killed off by reforms in other states, Reno languished as a place for inexpensive bachelorette parties while Las Vegas blossomed. Then, about 20 years ago, city leaders decided it was time to broaden downtown’s appeal beyond casinos. The National Bowling Stadium on North Center Street opened in 1995 with 78 championship lanes and now brings in 55,000 people just for the men’s nationals. The city renovated the Truckee River area with walkways and parks, creating the Riverwalk District as the centerpiece of downtown. It also courted and created special events such as hot air balloon races, the National Championship Air Races, and Artown, a community arts festival centered downtown each July. In that spirit, here are some Reno favorites, located mostly in the downtown and MidTown neighborhoods. Sometimes you find gold where you least expect it. > The Great Basin Community Food Co-Op (775-324-6133; greatbasinfood.coop) on Court Street makes it easy for restaurants and the public to find local produce and meat. 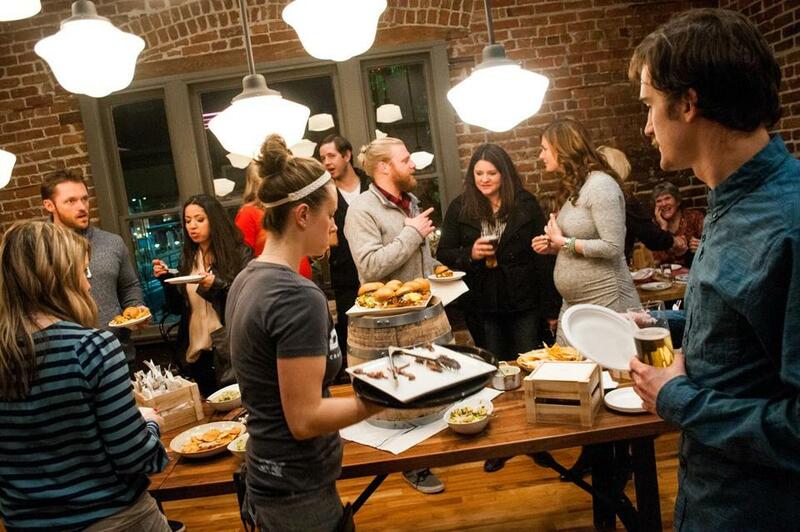 Meanwhile, the artistic vibe and low-rent space in MidTown have encouraged young chefs, some of whom come to work in casinos and then branch out on their own, says Melissa Smith, who founded Reno Food Tours in 2016. “It’s been happening for a while, but now all of a sudden it’s at critical mass, where everyone is saying, ‘Oh, my! When did all this happen?’ ” Reno Food Tours (775-501-9293; renofoodwalks.com) offers two expeditions, one of downtown and the other of MidTown. Both are $65. 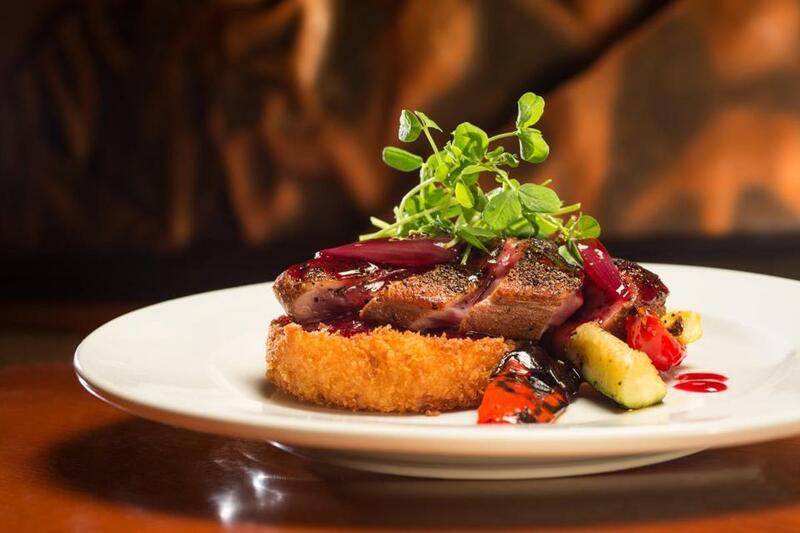 Pan-seared duck breast with risotto cake at Wild River Grille. > Wild River Grille (775-284-7455; bestrenorestaurant.com) overlooks a popular spot along the Truckee River for prom and wedding photos. It has a big patio and a comfortable bar. It’s a good go-to spot for people-watching or dinner before a show. Small plates run $9 to $15. Try the pan-seared Idaho trout ($25). > There are two locations for Great Full Gardens (775-324-2013; greatfullgardens.com), happy (and colorful) spots that offer something for everyone, from vegans to omnivores. Both serve breakfast, lunch, and dinner. Salads, bowls, and sandwiches run $10 to $20. Or try the real Belgian waffles ($8.69). > Centro Bar & Restaurant (775-737-9062; centroreno.com) is a tiny bistro with an open kitchen that specializes in inventive tapas. The seasonal menu features sophisticated fare like bone marrow, but even the hummus plate is tasty. Small plates run $5 to $14. > Breakfast and lunch spot Two Chicks (775-323-0600; twochicksreno.com), a local favorite in MidTown, is owned by two women (get it?) who started with a gourmet grilled-cheese truck. Try the free-range eggs and sourdough pancakes, and expect a wait on weekends. > The Depot (775-737-4330; thedepotreno.com), one of several new breweries and distilleries, is in a building that was once a railroad headquarters. While this is primarily a place to sample local brews, food is high-class pub: corn-bread fritters ($4.50), burgers ($14), grilled striped bass ($28). > The Loving Cup (775-322-2480) in MidTown has live music — rock, country, punk, all kinds. It has a local vibe, but with brick walls, tin ceiling, and velvet stools, it’s not a dive bar. > Chapel Tavern (775-324-2244; chapeltavern.com) attracts a mix of ages for its signature $10 cocktails and vintages from small wineries. It has a big window nice for sipping Bloody Marys on a Sunday morning. The Nevada Museum of Art downtown (775-329-3333; nevadaart.org) is a modern building (go to the top level for great views) housing a collection of contemporary and art of the Greater West. It’s small enough to be seen in a couple of hours but big enough to be interesting. From 5 p.m. to 7 p.m. on the first Thursday of every month, there’s music, beer, and wine. Its restaurant, Chez Louie (775-284-2921; chez-louie.com), offers lunch, dinner on Thursdays, and brunch on weekends. Try the caramel budino, a yummy combination of cookie crumble and custard ($8). At the National Automobile Museum (775-333-9300; automuseum.org), admire Sammy Davis Jr.’s Duesenberg and then don a duster and take your Christmas card photo in an antique car. At The Discovery, officially the Terry Lee Wells Nevada Discovery Museum (775-786-1000; nvdm.org), kids can pretend to be pioneers by cooking over a faux fire. If you want to discover more of the area’s back story, Reno Historical (renohistorical.org) is a free mobile app with tours of the city. And “Illuminating Reno’s Divorce Industry” (renodivorcehistory.org) is a fascinating online exhibit sponsored by Special Collections at the University of Nevada, Reno Libraries. Because my daughter Sophie is an actress, I spend a lot of time in Reno’s community theaters, including Bruka (775-323-3221; bruka.org), Reno Little Theater (775-813-8900; renolittletheater.org), and Good Luck Macbeth (775-322-3716; goodluckmacbeth.org), which offer plays ranging from the traditional to the quirky. At Evil Dead: The Musical, I sat behind two zombies taking a break from a different kind of culture — one of the city’s many pub crawls. My favorite spot is the Riverwalk (particularly in the early morning), because it winds through Reno’s lovely older neighborhoods. Mayberry Park, west of downtown, is a good option for all levels, from casual bird watchers to river tubers to fierce uphill hikers. Tahoe Meadow is a 1.3-mile loop on Mount Rose, where you can hike or cross-country ski. During ski season, Thursday is Ladies Day at Mount Rose (skirose.com) — women get a lift ticket for $29. Out-of-towners can get a $59 ticket the day they fly into Reno by presenting their boarding passes. The mountain often has the best snow in the Tahoe area because of its high elevation (almost 10,000 feet) and has plenty of easy terrain for kids. And it’s only a 30-minute drive back to town. I’ve tried two of the big spas — the Atlantis Casino Resort Spa (775-954-4135; atlantiscasino.com/spa) and the Peppermill’s Spa Toscana (866-821-9996; peppermillreno.com/spa) — and each has its charms. The Atlantis features a Laconium Relaxation Lounge (a dry heat supposedly good for circulation) as well as a Brine Inhalation Light-Therapy Lounge (salt aerosols said to promote well-being). The Peppermill has a “calidarium,” which is an indoor pool alongside a private balcony where you can order food away from the hustle of the casino. But honestly, once I’ve had a massage, I don’t really care where I am. Prices are fairly similar: $165 for a 75-minute hot stone massage at the Peppermill; $155 for 60 minutes at the Atlantis. It’s less than an hour’s drive to Lake Tahoe or Squaw Valley from Reno, but don’t limit yourself. My favorite pair of red boots came from a cowboy store in Virginia City, once the center of the Comstock Lode, a deposit of silver ore located under the eastern slope of Mount Davidson. The old mining town, 40 minutes southeast of Reno, clings to the hills like a mountain goat and has the funky vibe of a 1950s tourist attraction. The Sierra Hot Springs retreat (530-994-3773; sierrahotsprings.org) in Sierraville, on the other hand, is more 1960s Woodstock, only an hour’s drive west in the California highlands. You can go for the day, camp, or stay in the historic Main Lodge. An all-day pass is $20, $25 on weekends. The pools, open 24/7, range in temperature from about 85 to 105 degrees and there is hiking and cross-country skiing on the 700-acre property. As the website says, “Body acceptance is a key component of Sierra Hot Springs, therefore all of our pools are clothing optional.” We didn’t believe that no one would be wearing bathing suits. No one was, except for us. Consider yourself warned. 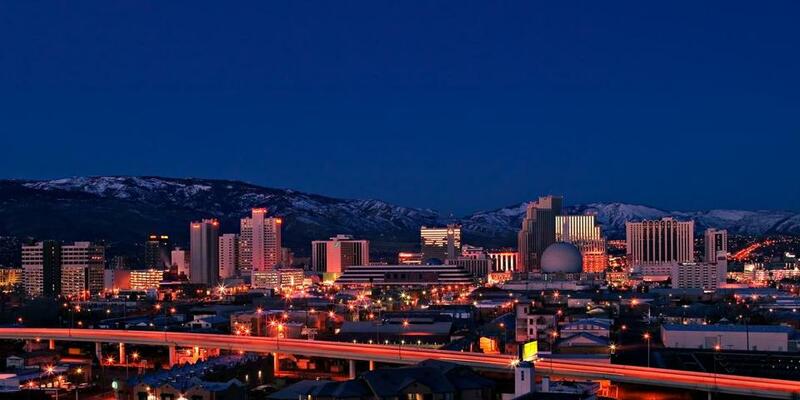 You can find good lodging in Reno for $65 to $250 a night, depending on the time of year, what’s going on in town, and, of course, whether you are a high roller. Downtown, the Whitney Peak Hotel (775-398-5400; whitneypeakhotel.com) has sleek rooms, great views of the city, and yoga, climbing, and fitness classes. There’s a sauna but no pool. The Silver Legacy Resort Casino (800-687-8733; silverlegacyreno.com) has comfortable rooms, usually for less than $100, and a convenient downtown location. Among the newer casino resorts, the Peppermill (866-821-9996; peppermillreno.com) is my favorite — it has two pools, including one suitable for laps. But the Atlantis (877-956-6551; atlantiscasino.com) and Grand Sierra (775-789-2000; grandsierraresort.com) also have upscale beds, pools, buffets, big-name shows, spas, and fancy restaurants. While there’s no replica of the Eiffel Tower in Reno, the Peppermill does have rather astounding faux Raphaelite murals. You can’t fly nonstop from Boston to Reno, but several airlines fly direct, usually through Phoenix, San Francisco, Salt Lake City, or Dallas. Jet Blue now goes through Kennedy International Airport, and fares start around $400. For more adventure, Amtrak’s California Zephyr (amtrak.com) runs daily from Emeryville in the Bay Area through the Sierras and then down into Reno on its way to Chicago. It’s not fast (about 6½ hours from Emeryville to Reno), but the route through the mountains is spectacular. And on trips headed east, docents from the California State Railroad Museum climb aboard in Sacramento and tell passengers stories of the Donner Party. Coach seats from Emeryville start around $50. Susan Moeller is a writer and editor on Cape Cod. Send comments to magazine@globe.com.